Brian G. Murray was born and educated in London. He works as an accountant, but writing allows him to put his creative talents to better use. Learn more about him at Brian G. Murray’s website. 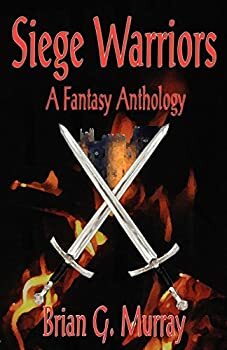 In his anthology Siege Warriors, Brian G. Murray brings a medieval siege to life through the eyes of a variety of characters. Most of the stories portray cities under siege, surrounded and attacked by an opposing army. The situations described in these stories are similar, but Murray creates diversity by showing the conflict from different points of view. Other stories take the theme in a different direction. One takes place in a building held by bandits, besieged by soldiers. There are a few other stories that seem less clearly related to the book's theme. The diversity and different themes help to keep the reader engaged.